I can offer you, as a fully qualified ADI, a consistent supply of pupils, and you can immediately start charging £45 for a 1.5 hour lesson (£30 per hour)*. Simply put, you can earn more money working with Joel’s Driving School, than with a national driving school or going independent yourself. Here’s some numbers to give you an idea of how much more you could earn. These are approximate, and not guaranteed, but are based on my 4 years’ experience with a national driving school, and the last 6 years as an independent ADI. I’ve been teaching in Bristol for over 10 years now, and for 4 of these I was paying a very expensive franchise to The AA. I worked very long hours during those first 4 years, but I did not make a decent living wage. Instead, I was taking home less £25k a year (after tax). The main reason I stayed with The AA was how easy and secure it was. A constant supply of pupils kept my diary full, but the high cost of the franchise and the pupil supply (over £1,000 every month) made it impossible to make any decent money. In 4 years I paid The AA around £48k. That is crazy. I spoke with another instructor recently who has now paid The AA over £120k in the last decade. You get the idea. So, 6 years ago I took the plunge, and started Joel’s Driving School to tackle the 3 factors I mentioned above. My reputation is now so good, that I am constantly turning away new pupils because I simply do not have enough hours in the day to cope with them. I cherry pick the pupils I want to teach just from my local area to save on travel time and costs. I haven’t needed to do any advertising for the last 2 years, as my pupil supply is solely through recommendations and my website/Facebook page. I am also successful and experienced with online social media advertising, should a boost in pupil numbers ever be required. This ensures that my business has no problem with pupil supply, which at the end of the day, is the only way ADIs make money. No pupils, means no lessons, means no income! Joel’s Driving School will consistently evolve and adapt with new methods of promotion largely via new online social media outlets. I currently lease my car directly from Volkswagen for approximately £330/month inclusive of VAT. This includes Road Tax, and a full maintenance package that covers all extra costs including servicing, parts, labour, breakdowns, etc. Compare this to the three main national franchises which include a car, and you would be saving £700/month, or £8,400/year. I can get you a similar, if not a better deal at Volkswagen, Citroen or Renault. They supply the car fitted with dual controls. I will have your car sign written if you require, or supply magnetic graphics. The car insurance is on top of this obviously, but mine is currently under £500/year, so compared to the expensive franchises, this route is a massive saving. At this point, fuel is the only other running cost. The problem with the amount of ADIs teaching is that many have dropped their hourly rate to compete. Crazy introduction promotions are commonplace, dropping as low as £15/hour. This practice is lowering the value of our product, and ADIs are earning less than minimum wage. 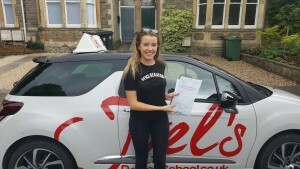 I charge £45 for a 1.5 hour lesson (£30 per hour), and so will all the ADIs working with Joel’s Driving School who have enough experience, and have a high enough pass rate. There will be no cheap offers to entice pupils; our service and reputation will do this, and we will get the income this vocation deserves. For example, my income increased by over £9,000 the first year after I left The AA. If you currently charge £24 per hour, and work an average 37.5 hour week, for 48 weeks a year, you will turnover £43,200 (before expenses and taxes). This is assuming you do not offer any introductory offers , first hour free, block prices etc, which many independent ADIs have to do to attract pupils. This would further reduce your income. 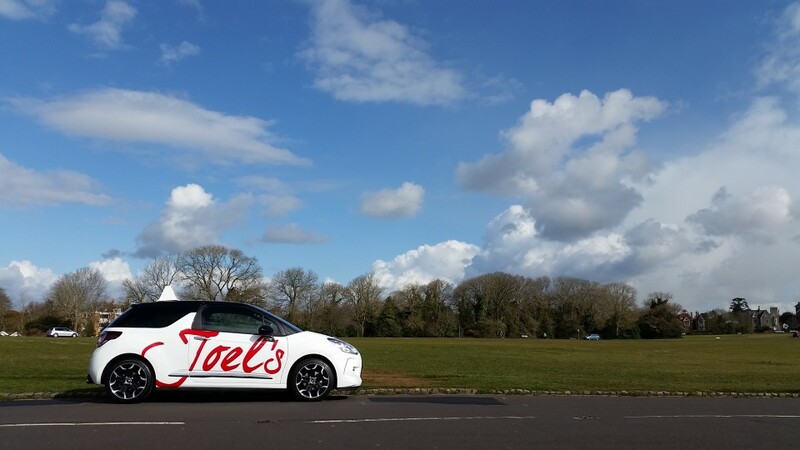 However, if you work with Joel’s Driving School, you have the ability to immediately start charging £45 per lesson, and you will turnover £54,000. No-one would sniff at a £10,800 pay rise, would they! So for every £1 extra you charge per hour, you have the potential to earn £1,800 more every year. With Joel’s Driving School you can immediately start charging £45 per 1.5 hour lesson without the risk of putting new pupils off. This is a challenge for ADIs trying to leave an expensive franchise, and go independent. It is also an issue for a lot of established independent ADIs who maybe don’t quite have the reputation to fill their diary, and don’t have the time or know-how to get more pupils to pick up the phone and call them. Advertising costs can spiral, and easily cost over a £1,000 per year. Our reputation is already established in Bristol; pupils supply is at a high; and a quality driving instructor achieving a high pass rate is worthy of a proper hourly rate. A music teacher will regularly charge £30-60 per hour after all, and they do not even have to legally qualify or have the same running costs we do! So, my aim with Joel’s Driving School is to consistently supply you with pupils; lower your running costs; and increase your income. I want to become the driving school in Bristol that is most recognisable for quality driving lessons and high pass rates for pupils, and full diaries and a worthy income for ADIs. You won’t be signing your life away with contracts. If at any point you decide to leave for any reason, you can. I just ask for a minimum of 12 weeks’ to begin with, then the decision is yours from then on, with 4 weeks’ notice required. 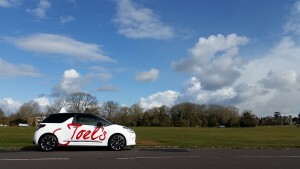 Joel’s Driving School is well established in Bristol and has a reputation for quality lessons, and very high pass rates. Anything below £26 per hour devalues our product. Remember, for every £1 extra per hour you charge over your current rate, will net £1,800 extra per year. I know how daunting it was to leave the security of the big national driving school package, but ditching them is the only way to increase your earnings and make a decent living wage in this industry. They don’t deserve £1,000+ of your profit EVERY SINGLE MONTH!!! The Inland Revenue (HMRC) did a random inspection of Joel’s Driving School in 2013, and I was informed that I had the best records of any driving instructor the inspector had ever seen. You must have your records on point, and your Self-Assessment completed correctly, otherwise you risk huge penalties. Just because we’re not earning 6 figures, doesn’t mean driving instructors don’t get investigated! It’s not easy, so my experience is invaluable. I will also supply my own custom-made spreadsheets for recording your finances, which has been approved by the HMRC for clarity and ease of use. Does an expensive franchise offer you a ring-binder folder packed full of diary pads, mock test sheets, driver records, pupil progress booklets, online account forms, and business cards? Well yes, they probably do, and so do I! Whether you want to buy, or take a contract hire vehicle (the latter would be my recommendation), my contacts will give Joel’s Driving School instructors great rates. I would request you have either a red or white car where possible, to match the company branding. I know the best places to go for all levels of lessons throughout the city. I know it can be awkward if you’re not sure of the best place to go for a pupil’s first lesson, or for parking etc, so I can share my knowledge with you. I’m here for help or advice you might need on day-to-day driving instruction issues. Getting the best price can be difficult… I can help! Any questions or queries at all, don’t hesitate to give me a call!